Monday was the final meeting of the year for the Osage County Commissioners in 2018 and things were pretty uneventful at the Osage County Courthouse. All three County Commissioners serve on the Indian Nations Council of Government Board. Osage County Emergency Manager Jerry Roberts is the alternate. The County Commissioners voted to stay on the board and Roberts agreed to stay on as an alternate. There was no action taken regarding a tort claim from Garry England in District Number Two. 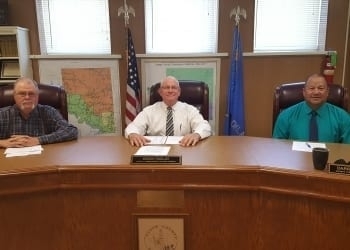 Tom Teel has resigned as the requisitioning officer for District Number Two and the County Commissioners acknowledged that Kandy Jump will replace Teel. They will also begin advertising for a full-time janitor at the courthouse. On Wednesday, there will be a swearing in of newly elected officials for 2019 in the third floor of the courtroom at 9 in the morning. At Monday's meeting, multiple people were there to thank the outgoing officials for their service.